If you're looking for free plans on how to build a poker table, you will find dozens websites that were created just for this very subject. Plywood--2 sheets of 4 ft. X 8 ft., 3/4 in. Dry wall screws--1 1/2 in. There are also other optional materials you may want for your table such as cup holders, drop boxes, dealer trays, etc. You should look through several different plans to see which ones cover the options you want. The other two styles of poker tables that people often build for home use is the octagon poker table and the round poker table. 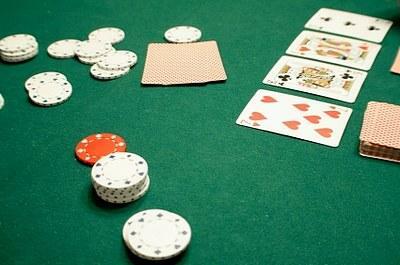 Most round poker tables seat five to six players comfortably. An octagon poker tables seats eight players. Some similar versions of this style table are a decagon table (ten players), a hexagon table (six players) and a dodecagon table (twelve players). While plans for these styles are not as abundant as the larger, oval tables, you can still find them online as well. A great resource for finding plans for all styles of tables is Home Poker Tourney. Before you run out to start buying materials for your table, do your research. Find out which plans include the accessories you want your table to have and which plans are closer to the budget you have in mind.